As with all new Chrome OS devices, the Tab 10 comes with a USB-C port for charging and it has a 3.5mm headphone jack as well. The QXGA 9.7″ backlit LED display renders at 2048 x 1536 which supports stylus input. In fact, it comes with a stylus and it can be stored in the device. Camera wise, you have a 5MP rear camera and a 2MP selfie camera. Connectivity is handled by the 2x2MIMO 802.11ac WiFi antenna and you have Bluetooth 4.1 built in too. Finally, it 34 Wh battery that provides 9 hours of power to the tablet. 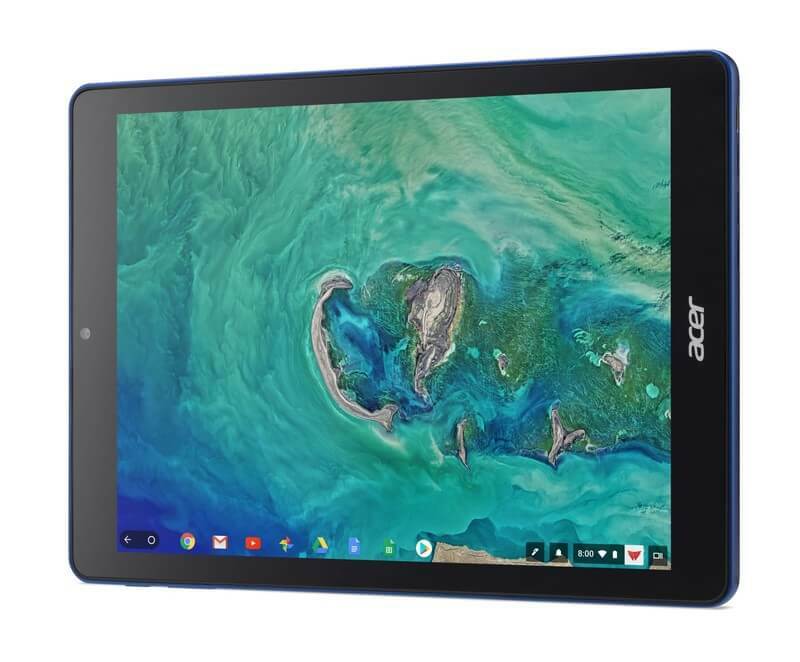 As for licensing, it is running Google Educational licensing which means you would need to purchase the device through a Google education reseller to get one. It would seem that 2018 is going to be a tablet rebirth for Android – but it is going to come via Chrome OS and that opens up a world of possibilities.